My husband and I have had many a conversation about whether or not people ever fundamentally change. He’s not so sure; I, on the other hand, am certain they can. Changing “me” is difficult. It takes work. It takes time. And, it takes a heart change. The wise, old troll’s comment to Anna’s parents in Frozen says it all, “Your lucky it wasn’t her heart. 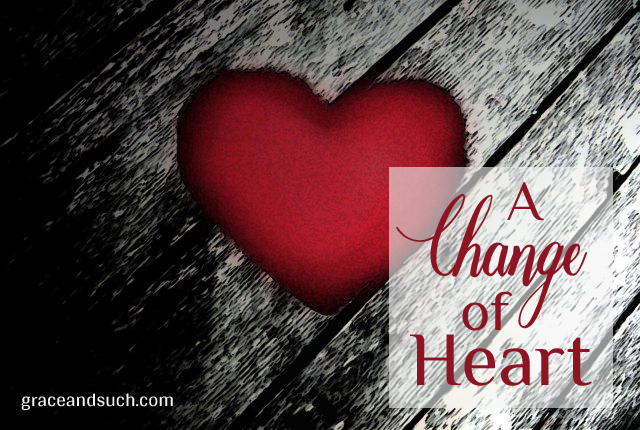 The heart’s not so easily changed…” Isn’t that the truth? The word “heart” is mentioned over 700 times in the NIV translation of the Bible and over 800 times in the KJV. And Scripture’s not referring to the organ that pumps blood through our bodies; it’s referring to the heart, figuratively. The Greek word for heart is kardia, meaning the heart, mind, character, inner self, will, intention, center. I’ve always been a listener and a learner. I take it all in and I take it all to heart. Maybe that’s why, throughout my life, words impacted me so profoundly. Words have power, power to better and power to belittle. For years, I allowed the unkind, angry, and judgmental words of others belittle me and change my heart. I went from an emotional, touchy-feely girl to an angry, jealous, judgmental, woman. A soft heart became a hard heart. At least a hard heart’s protected from harm, no pain, no disappointment, no doubt, no nothing or so you’d think! But sadly, this kind of heart aches, and it’s heavy and empty. It’s worse than the one that’s squishy. When I first encountered Jesus, I wasn’t sure I could change. I was comfortable with my righteous anger, picking people apart, and pushing them away when they hurt me. My husband said I was like a queen sitting on a throne casting judgment on my subjects. Ouch! That was it, Jesus’ words got into my heart. Day by day, week by week, month by month, year by year God’s word starting changing my heart into a heart that resembles his. The worldly words became less and less meaningful. This is our life as Christ followers, to be transformed into the likeness of Jesus. Our hearts become his heart. Our words become his words. Our actions become his actions. John tells us we have all we need to overcome the worldly things keeping us from experiencing a change of heart. I’ve come a long way, but change comes slow, and yes, it’s difficult. I still have a temper, sometimes I still pick, and I close myself off when I feel hurt. These behaviors, I admit, disappoint me and drive me crazy. Ask Jesus to help me work on what needs work. Don’t judge myself too harshly. Focus on becoming the woman God wants me to be. Remember just how precious the heart is. From stone to flesh, that’s quite a picture of change. Much easier said than done. Terri, thanks for sharing your heart “stuff” – Inviting God into these areas is quite powerful and your example is evidence of that… you remind me to let God touch the hard, heavy, empty parts of my heart. Sometimes the heart stuff is the hardest to change! So, so grateful for God’s steadfast patience as we work though the change. Powerful hymn…I appreciate your mention of its words. Love the reminder to do a heart check, especially where any kind of change is concerned. Gretchen – you’re absolutely right! Thank you for this heart message Terri! 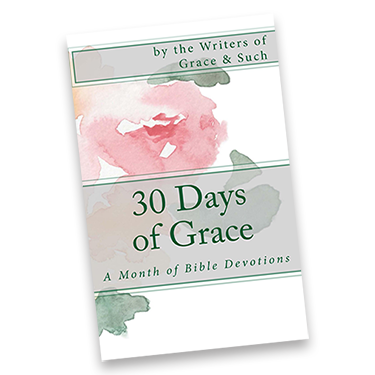 Often I find myself creeping back to old habits and ask God to show me what needs to change. The key, as you’ve stated, is being open to Him coming in and doing whatever needs to be done to that wicked heart of ours. Letting God in and having his way with us is the only thing that will bring about change. It may not feel good while the work is happening, but it’s always better in the end. It’s such a simple concept, really. Then why do I dig in my heels and act like a spoiled brat and not want to change my heart sometimes? *sigh* This humanness is kind of lame sometimes! Lame for sure, change is such hard work!